A “babymoon” is a trip that you take with your loved one before your first baby arrives. Having a baby is a pretty big deal! This might be your last chance to get away without a baby for a while. Many couples take babymoons to tropical locations across the world to enjoy some time together to relax before the stress of having a new child enters into their lives. This is an essential trip for new moms because when the baby comes, it is nonstop. Any experienced mama will encourage new moms to take this trip! But where do you go? The Zika virus for the past couple of years has deterred many couples from visiting the Caribbean and Mexico for their babymoon. There are many other locations that would be great for a babymoon, but which are the top 5 for you to choose from? Before booking the trip, depending where you are in pregnancy and how your body has handled pregnancy, consult your doctor about flying and locations. However, do not let this deter you from taking a babymoon. There are many beautiful locations close to home that you can enjoy a cozy getaway. Make sure your passport is up to date and start finding your best plane ticket prices. Algarve, Portugal has quite the beautiful beaches that are perfect for a babymoon! Relaxing all day and night by the ocean. They also have beautiful golf courses and year-round sunshine. Many hotels in the area provide babymoon packages which include relaxing and pampering. Looking for a beautiful getaway? Greece is your place. Finding a hotel or and Air B&B located right on the water would be the best place to go. The beautiful architecture and sites can keep you relaxed for days. You can do as little or as much as you like depending on how you feel. If you enjoy the beach and site seeing, San Francisco is your place! This city is known for its food so if you are in full blown pregnant mode, then you want to be here! Not only do they have great food, but they have great tourist locations to visit. San Francisco has spectacular sunsets and driving down the coast in either direction is beautiful! CarRental8 – Book Now & Save 50% on Rental Cars – Search, Book, Done! 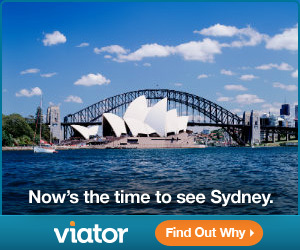 This might be the last chance for a while to take a long traveling vacation to Australia. Hamilton Island has direct flights from Sydney, so you could site see in Sydney for a day and then make your trip over to the island. Once on the island, you can hire a buggy to take you around so there is no stress of how to travel on the island. Don’t forget to bring a lot of things to do on the plane! When planning a babymoon, always consult your doctor first to make sure the location you are going works best for you. Sunscreen, flip flops, and dressing comfortably should be your best friend on this trip. Don’t make too many plans on this trip, as the point of the trip is to relax and enjoy your loved one before the baby makes its grand entrance into both of your lives. I had never heard of a “babymoon” before, but I am definitely keeping this in mind for when my time comes! Thanks for sharing! Babymoons are fantastic and so worth it! lol ! but if you like cold rainy weather and trying to avoid the hot – Ireland is perfect.